SINGAPORE — Asian markets tumbled on Friday after China reported weaker-than-expected economic data, stirring up worries about the state of the world's second largest economy. KEEPING SCORE: Japan's Nikkei 225 index slid 1.7 percent to 21,439.16 and the Kospi in South Korea lost 1.2 percent to 2,070.70. Hong Kong's Hang Seng was down 1.4 percent at 26,165.88. The Shanghai Composite index fell 0.7 percent to 2,616.77. Australia's S&P ASX 200 shed 0.8 percent to 5,614.10. Shares were also lower in Taiwan and Southeast Asia. 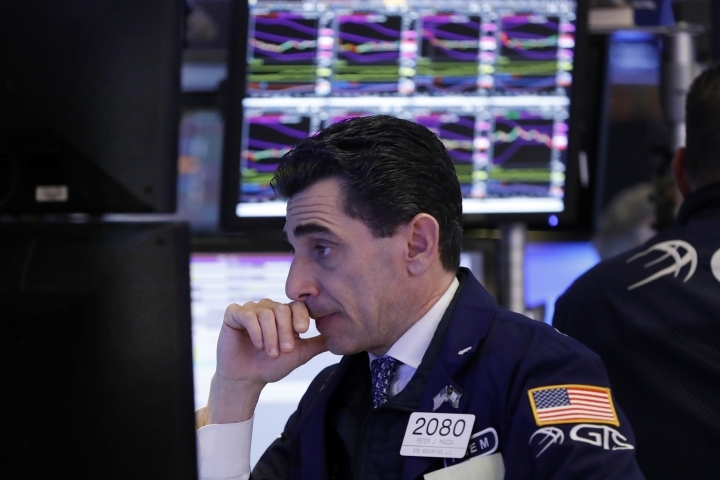 ANALYST'S TAKE: "Markets have been anticipating slower growth in production because of trade tensions. But retail sales show that consumption may not be strong enough to support the external sector," said Francis Tan, investment strategist at UOB Private Bank. "These slower numbers will surface on policymakers' dashboards and there is a possibility of more stimulus early in the new year," he added. JAPAN'S TANKAN: A Bank of Japan survey released Friday measuring confidence among large-scale manufacturers held steady at 19 points. The "tankan" survey, which includes automakers and electronics companies, was flat for the second month after three quarters of decline. It reflects the difference in the number of companies with "favorable" outlooks and those with "unfavorable" ones. Analysts said the showing is decent, given that the Japanese economy contracted in the first and third quarters, but it could be a sign that global trade tensions are still weighing on corporate sentiment.